Honor’s December 21 Launch Invitation Confirms Honor 9 Youth Edition Moniker - Playfuldroid! After launching the Honor 8 last year, Huawei’s sub-brand had launched the Honor 8 Youth Edition as toned down version of Honor 8. 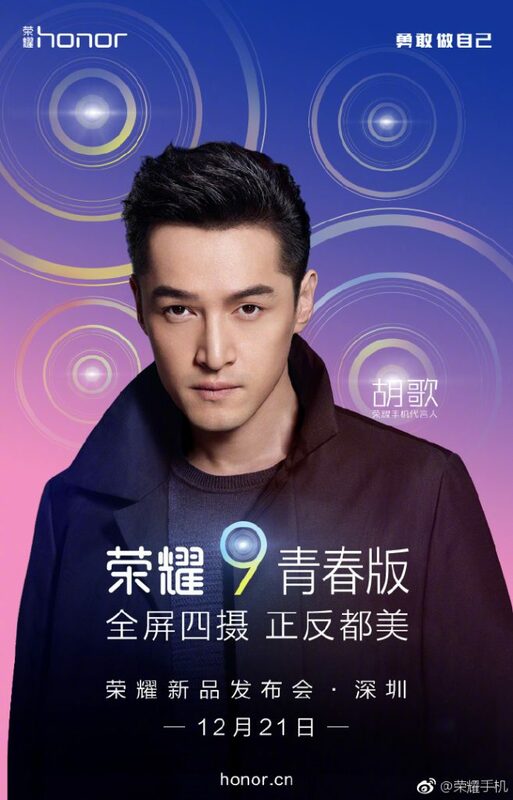 In June this year, the company had unveiled the Honor 9 smartphone and the official invitation that company has made added on its Weibo account confirms that the Honor 9 Youth Edition will be debuting on Dec. 21. The unveil event will be held at Shenzhen Futian Sports Park, Shenzhen in China. The Honor 9 Youth Edition has already received certification from TENAA in China. Unlike the Honor 9, its lower-end version will be coming with full screen design that will be supporting an aspect ratio of 18:9. It will be featuring a 5.65-inch display that will carry support for screen resolution of 2160 x 1080 pixels. It is expected to include a 2,900mAh battery. The Kirin 659 chipset featuring a 2.36 GHz processor is expected to power the Honor 9 Youth Edition. The front and rear side of the phone will be equipped with dual cameras featuring a 13-megapixel sensor and a 20-megapixel sensor. It will be running on EMUI flavored Android 8.0 Oreo OS.